Basal cell nevus syndrome is a genetic condition that can cause dozens, even thousands, of skin cancers known as basal-cell carcinomas all over the body. 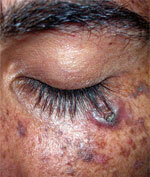 The current treatment is frequent surgery, which can result in scarring. Scientists have now found that a recently approved drug, Erivedge (vismodegib), can keep the cancer at bay. 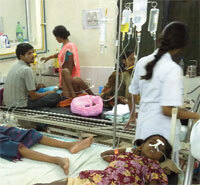 Acinetobacter baumannii, a superbug, is notorious for causing deaths of hundreds of patients each year. It clings to hospital equipment like catheter tubes. Scientists have now identified the mechanism that allows the bacteria to shield themselves from antibiotic. Climate change, population rise and environmental destruction can cause an irreversible collapse of the ecosystem a few human generations from now, scientists warn. This is in contrast with the largely held view that environmental collapse would be gradual and take centuries. The team compared the biological impact of past episodes of global change with what is happening today. The factors included a rising population and increasing temperatures. 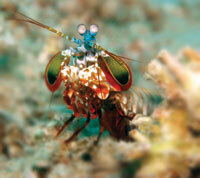 The colorful peacock mantis shrimp is known for bright red appendages, which can easily smash through mollusc shells and even aquarium walls. Researchers have now found what makes these appendages, called dactyl clubs, so powerful. The face of the club is made of a highly crystallised form of calcium phosphate, the same mineral found in bones. 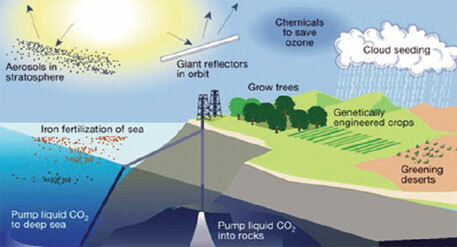 Artificially engineering climate to fight global warming has always been a controversial idea. It involves mimicking the effects of natural processes like large volcanic eruptions by releasing sulphur dioxide into the atmosphere, to deploying giant mirrors in space to deflect the sun’s rays. Most of us are worried about the pollution outside. But take a look inside your home. 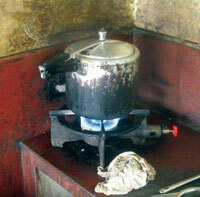 Pollution levels in kitchens with gas appliances are three times higher than outdoor. Scientists compared houses that used electric cookers to those using gas appliances. Samples were taken from each kitchen, over a four week period. Ten years ago, researchers had claimed that they have discovered neutrinoless double beta decay in which the neutrino, an expected product of decay process, is not produced. 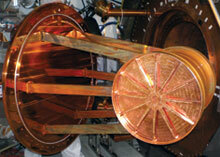 This suggested that the neutrino, a neutral sub atomic particle, has its own antiparticle which annihilates it. Fat can be good, especially that belly fat you want to get rid of. The fatty membrane in the belly, called the lesser omentum, has been found to regulate the immune system and provide a first line of defence against infections, especially viral. It can even help regenerate damaged tissue after an injury. Till now, the membrane was thought to have no use. Researchers also found that cells from this membrane can differentiate into lung-type cells and bone cells. In malaria endemic countries giving children a monthly drug against the illness could save the lives of thousands every year. 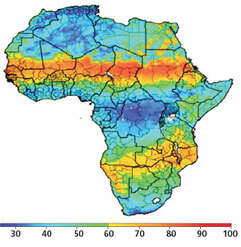 Malaria is a particular problem during and immediately after rainy seasons. The researchers found that providing monthly courses of an antimalarial drug sulphadoxine-pyrimethamine plus amodiaquine (SP-AQ) to children under the age of five during the peak malaria transmission season showed an 83 per cent reduction in the incidence of clinical attacks of malaria and 77 per cent reduction in the incidence of severe malaria.